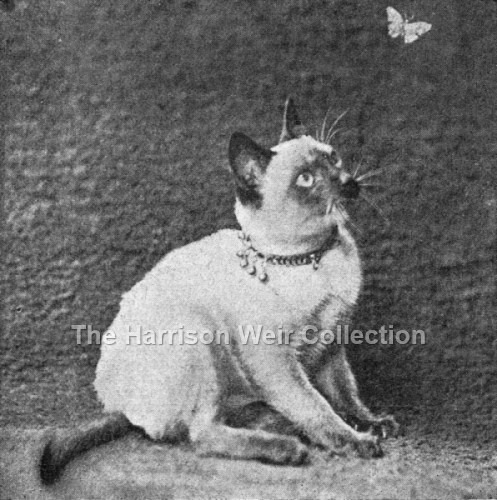 Here we have a rare picture of a Siamese male kitten, which is identified as Chaseley Valentine, the progeny of the well-known "Cora" owned by Mrs Armitage. The image comes from the Feb 14th 1903 issue of "Our Cats" magazine. Given the date, although the sire is not listed, it is very likely to have been Ch.Wankee.